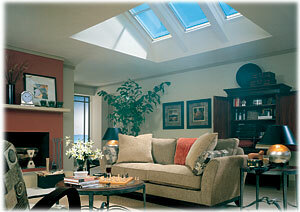 Windy City Skylights is proud to be a Velux 5 Star Specialist. As such, we have extensive product and installation training from Velux and are authorized to sell and install the Velux product line. By purchasing directly from the manufacturer, we provide our customers the most competitive prices in the market. After more than 60 years, Velux continues to be the world leader in the skylight and roof window industry. Their extensive product line includes skylights, roof windows, and sun tunnel tubular skylights with broad array of convenient accessories. 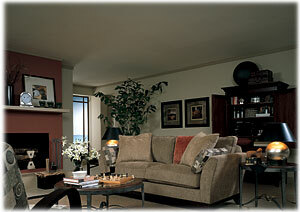 We invite you to visit the Velux web site at www.veluxusa.com for more detailed information. For residential skylight projects outside the scope and nature of the Velux product line, Windy City Skylights works in tandem with glass suppliers to custom fabricate larger skylight structures. Windy City Skylights offers an exclusive 15-year guarantee on our labor on Velux skylight installations in addition to the 10-year Velux warranty on their skylights and 20-year warranty on their glass. You will discover that our labor guarantee far exceeds most competitors and demonstrates our commitment to total customer satisfaction. Check out our Velux Skylight Visualizer to get an idea of what your home will look like after the installation of a Velux Skylight or use your smartphone to download the Velux Skylight Planner App.